Exhaust air treatment is a topic that has gained importance especially in regions where many humans and livestock reside in close vicinity. 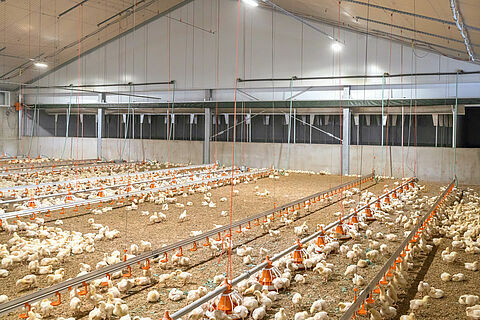 If emissions exceed statutory limits, poultry managers often need to equip new houses with an exhaust air treatment system. We can provide a system that meets your requirements.